Are you planning to study abroad in the coveted institution ?? Have you got any scholarship from any university for studying in a foreign country? Have you received any offer for study abroad from any University under educational exchange program? If the answer to any of these is Yes, then you ought to know the pros and cons of shifting to a different country for studies mainly the cost of studying abroad. There are many factors that should be considered before you take a decision for studying abroad. Not only the issue of relocating to an unknown land is involved but the most important and crucial one is the cost factor as to how much money you may need to bear the cost for studies abroad in the specific country. Cost is obviously a factor students need to consider when selecting a programor deciding whether or not to study abroad. What are the Funding options for Cost to study abroad? Second, when you have to bear the entire cost form your own personal savings or educational loans. Read this for educational loan : Taking A Student Loan ? Be Careful! Here we will be discussing only the second part i.e. when you have to bear the entire cost form your own personal savings or educational loans taken to save tax. Traveling cost: Travelling cost is the most important component of the total education budget for the students. Since this is not a one time expanse and you may have to visit your place of residence twice or thrice during the total study duration, it can prove to be burden and substantial cost. Travel Insurance cost: Before your embark on a journey to the destination country, you are required to take a travel insurance to safeguard yourself from the unexpected loss of baggage and other belongings. Depending on the country profile, the cost of travel policy may be different for each country escalating the cost of study abroad. Travel vaccination cost: In many countries, rather all, vaccination for certain types of sickness is mandatory which can add up to the total cost. Administrative fees for the institution for joining: All the foreign institute have their own administrative fees structure which is to be paid by all the students before joining the course of study. The fee may vary for different institute and Universities. 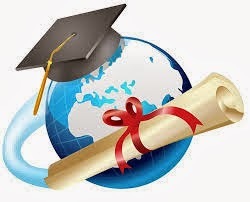 Type of course you are joining: The cost of studying abroad depends on the type of course you have joined. If it is a medico, technical, engineering or research based programme, the cost of study will be different and heavy. Tution fee: The amount of tuition fee depends on the course you are pursuing and can vary from course to course and duration of the study. Study material cost: As it depends on the course of study, the cost will go high if you have to purchase study material and books for reference. Housing expanses: Housing is one of the basic expenditure while studying abroad. The cost will differ if you rent a house, take a paying guest accommodation or get a student hostel. This can add substantially your cost of study. Cost of living for the period of stay: The day to day living expenditure like food, clothing, hobbies etc form a major portion of your cost for studying in a foreign country. Transportation cost within the city or place or residence: You need to travel from your place of residence to the place of study as well as other sundry travelling will add up to your total cost. Communication cost: When your are staying away from your family, you would like to be in contact with your near and dear ones. So the cost of keeping in touch like phone, internet and other snailmail can add up to your cost of study abroad. Entertainment expanses: It is not possible to have all work and no play. So the cost of entertainment has to be factored in. Loan interest cost for the educational loan taken if any: If you have taken an educational loan, then EMI for the loan is definitely going to increase your cost for studying abroad. Loan amount taken for studying abroad: After all the cost taken into account, the principal loan amount taken stands to be repaid which again the most burdensome cost. Since it to be repaid after your studies are over, it should be factored in total cost. Cultural issues: Cultural issues also may add to the cost of studies as you have to follow the lifestyle and other norms of the place of study which may compel you to shell out extra money. Though you can curtail your expanses and Save Money, but you cannot altogether avoid such expanses. Costs due to the climate of the place of study: The cost can also add up depending upon the specific country. In cold weather countries, or with uncomfortable climatic conditions, you may need to buy expensive clothes and other essential items to safeguard yourself in those circumstances. The list is not exhaustive and there may be several other cost which involve emotional agony, loss of familial ties and disenchantment from the country of origin etc which cannot be enumerated in financial terms but which carry equivalent importance in terms of cost for studying abroad. The education sector as in all other cities, in Indore is also governed by private as well as MBA colleges in Indore . There are colleges on Engineering, management, sciences, arts, communications and many other professional fields.